Amazon made huge waves last year with its first-ever Prime Day, a shopping mega-event that was promoted as being the Black Friday of the summer. It was initially rolled out as a one-time sales event, but after seeing through-the-roof numbers last year, Amazon has confirmed that it’s bringing it back next month. Prime Day 2016 will take place on Tuesday, July 12, with deals beginning at midnight Pacific time. As the name implies, Prime Day is an exclusive shopping event for Prime subscribers only, with array of “Lightning Deals” offered up over the course of the day. If you plan on getting in on the action this year, read on for everything you need to know. We’ve got a number of tips for getting the most bang for your buck this Prime Day. Just because the event is exclusively for Prime subscribers doesn’t mean non-members can’t take advantage. Signing up for a free 30-day trial will give you access to those deals without having to shell out the $99 annual membership fee. If you're a student, you get six full months to try it out before you have to pay. There will be three type of deals during Prime Day: Prime Day Spotlight Deals, Amazon Lightning Deals and Prime Savings and Deals. Prime Day Spotlight Deals are the ones everyone will want to get their hands on. They will be top-brand products offered at deep discounts, according to Amazon. Expect them to sell out fast, so act quickly if you get the opportunity to snag one. Lightning Deals will be ongoing throughout Prime Day. These deals will be hit or miss if they're anything like last year's crop. Lightning deals will be available for a few hours or whenever they run out of stock. You'll be able to see a status bar tracking how much inventory has already been claimed by others (0-100%). You will also see a countdown timer showing how much time is left on each lightning deal. You'll be able to see upcoming lightning deals on the Prime Day page once the event begins, which will help you plan your purchases. Prime Day Savings and Deals are promotions that will be running all day. When you're browsing these deals, click the "see details" link to view the discount amount. The discount is applied automatically after you add it to your cart. If you end up signing up for a trial membership just for Prime Day, do weigh the pros and cons of membership before canceling when your trial is up. In addition to free two-day shipping, Prime members also get access to a decent music library, unlimited streaming through Prime’s Instant Video, and a bunch of other perks. Those who don’t want to make a long-term commitment can also try a month-to-month Prime membership for $10.99. So did the first-ever Prime Day live up to all the hype? From Amazon's perspective, Prime Day 2015 was a huge win. The company boasted sales that were 18% higher than its previous Black Friday, and 266 percent higher than the same shopping day the year before. They also sold a whopping 34.4 million items -- that translates to 398 items sold per second. What's more, they snagged the most new Prime members ever in a single day. Customers, on the other hand, had mixed feelings. While some loved the deals (more on those in a bit), others complained of mediocre sales, limited items, and a seemingly random collection of items for sale -- like a Beard Growther, whatever that is, with a $17 price tag. That said, this year’s Prime Day might be a different story. Analysts have a feeling that Amazon took these critiques to heart and are planning this year’s sales event accordingly. “Amazon is being much more selective this year with the products they’ll promote on Prime Day so that they can work on providing a better customer experience this time around,” CPC Strategy account manager Jeff Coleman told Time. But Coleman goes on to say that he still expects Amazon to run out of plenty of the promoted items. According to Amazon, customers also ordered hundreds of thousands of Amazon devices during last year’s Prime Day, including Fire TV Sticks, Kindle e-readers and Fire tablets, making it a major standout category. This year we'll probably see discounts on the Amazon Echo, Echo Dot and Tap as well. We can't predict what the Prime Day prices will be for Amazon products, but here's a look at the best deals for all of them so far this year. They're no longer available at these prices (except the Echo Dot), but it gives you a reference for what a good deal looks like. Another tip for maximizing your savings this Prime Day is to utilize the price tracker tool from camelcamelcamel. Simply enter the Amazon URL and you’ll get a pricing history, which lets you know if the current deal is really all that good. Also check out each item’s Fakespot rating, which will shed some light on just how trustworthy the reviews are. (More on fake Amazon reviews here.) And, of course, check in with Slickdeals for regular updates on the best deals of the day. 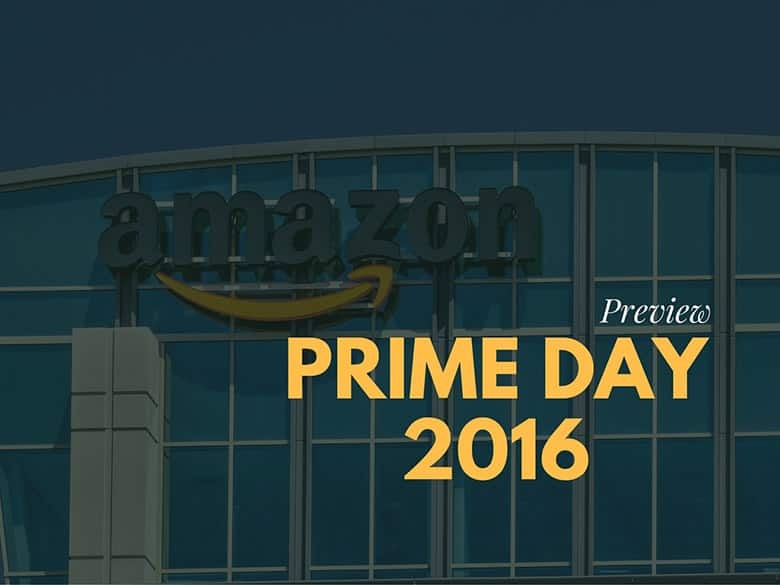 Ready to take on Prime Day 2016? We'll be updating our Prime Day deals page soon. Stay tuned!